Indexing Automation provides a quick and efficient way to bring documents into docMgt and index them using simple drag and drop actions and click indexing techniques. docMgt uses a simple 4-step process consisting of split, OCR, Index and Classify steps to improve indexing efficiency and accuracy. 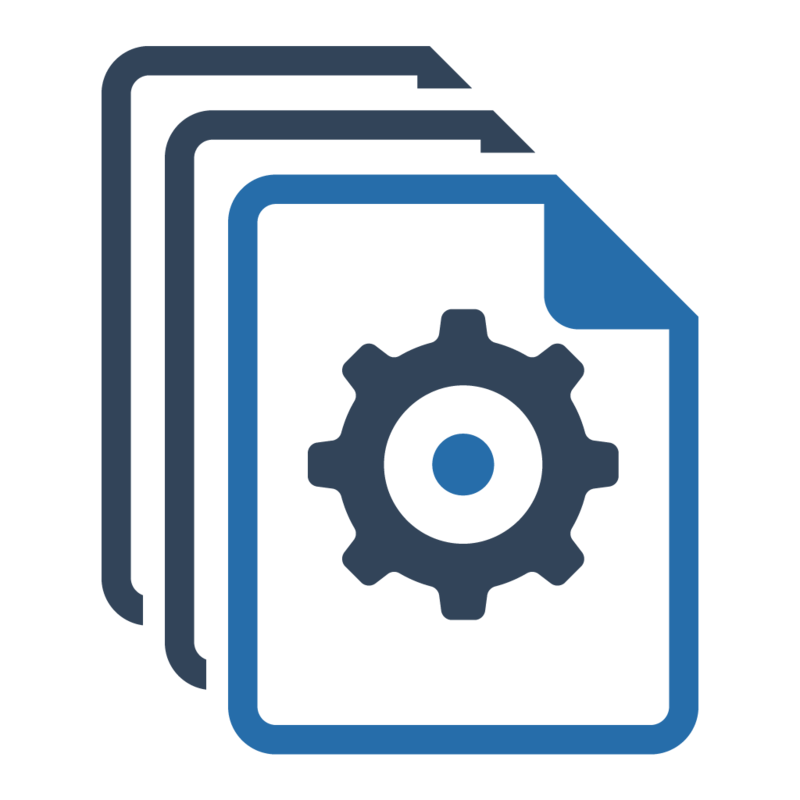 Indexing Automation can be used by dragging and dropping documents from your desktop or scanning documents from a shared copier. No special hardware or software is required in addition to docMgt. OCR stands for “Optical Character Recognition” and is the process of “reading” the text from an image or document. docMgt utilizes OCR to extract not only the words but also the locations of the words for use in searching, splitting and indexing. 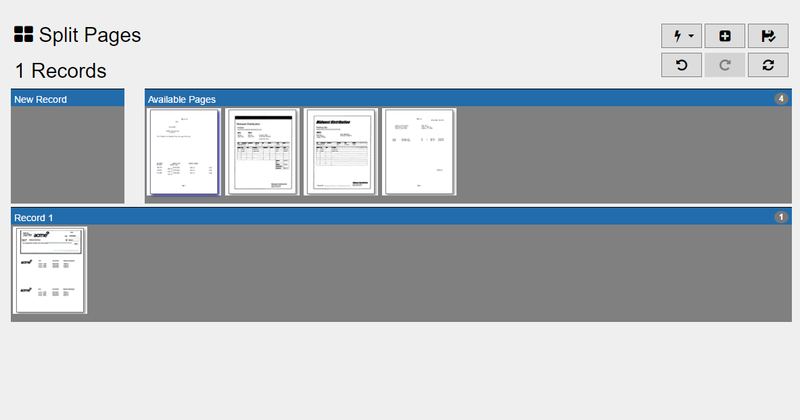 Once the OCR process has been run on a document that document is ready to move to the Split step. 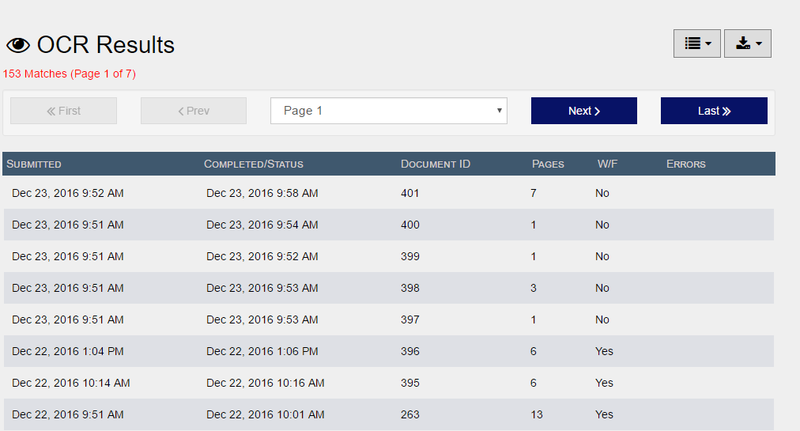 When pages come into docMgt from a copier or a batch scanning process without any indexing, they are all lumped together into one document. In order to be properly indexed, the pages must be split into separate documents. 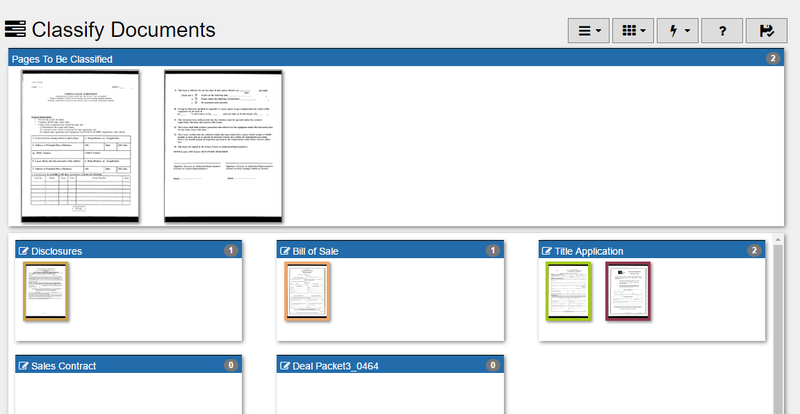 The splitting process can be set up to utilize the OCR data to automatically split the pages into documents. The splitting process could also be set up to be a manual drag and drop operation. Either way, splitting is relatively easy and quick. Once splitting is done then each separate document is sent to the Index step. Indexing consists of entering the data values about each document. These data values are the heart of the system because they become searchable later on and drive the workflow for approvals, payments and more. Indexing is done using a method called “Click Indexing.” By simply clicking on words on the page you will be filling in the data fields with the proper information. Anything that needs to be manually entered can be done in the indexing screen as well. This indexing process creates indexed “records” that hold the information about the entity (invoice, PO, etc) and the pages within the record are considered the “documents” of that entity. Once we are done indexing we move on to classify the pages of the record into their respective documents. Once the record has been indexed, it is ready for classification. The individual pages of the record are split and then classified into their individual documents to ensure all requirements have been met for the given process. Any missing documents are flagged and alerts are sent to ensure the missing documents are gathered before any deadline is missed. 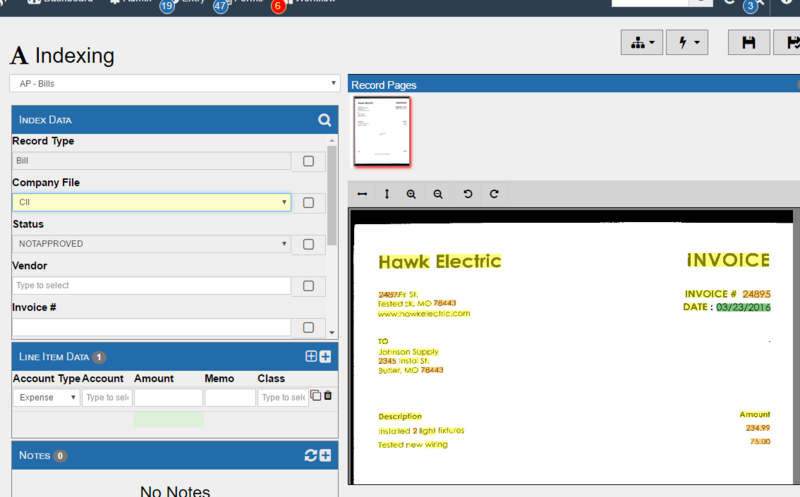 This video provides a glimpse into how easy it is to index documents in docMgt. For a full demonstration please contact our sales department.